Indiana State University is once again among the national leaders when it comes to civic engagement, according to The Washington Monthly's 2016 rankings. Marking five consecutive years of being in the top three among 303 national universities, the university is ranked No. 2 for community service participation. Indiana State placed eighth in the overall service category. "It's wonderful to be recognized in the top 10 nationally for community engagement again this year," said President Dan Bradley. "It is very gratifying and recognizes the huge efforts our faculty, staff and students make to serve our community. As we move forward with the new strategic plan, community engagement will become even more important to our students' experiences." 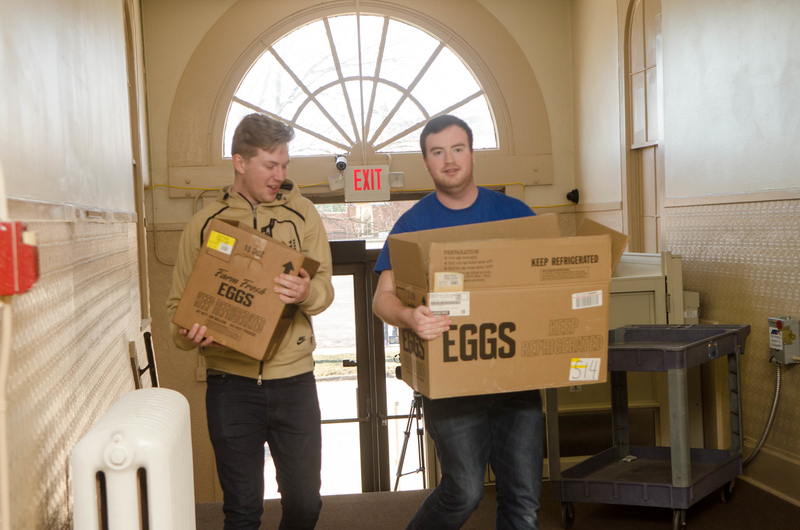 Indiana State clocked 1.2 million hours of service last year, giving back -- in big ways and small -- to organizations throughout the Wabash Valley. 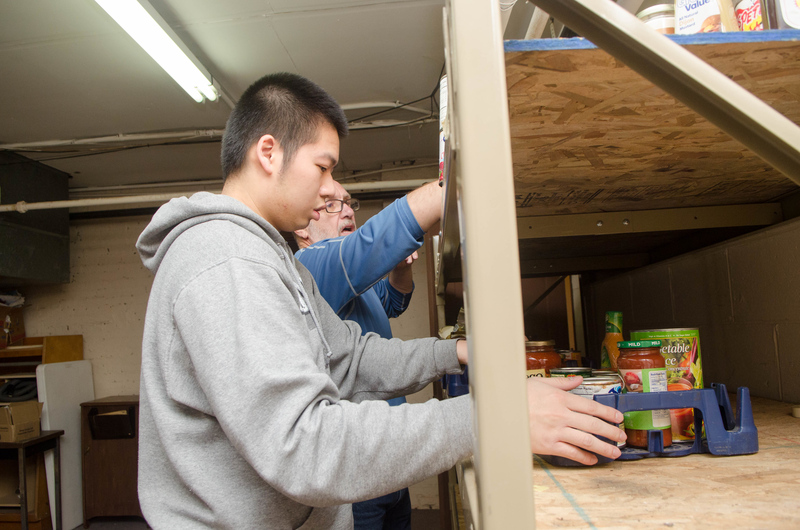 Service-learning projects, which combine meaningful community service experience with hands-on instruction, are also integrated into the curriculum of every academic program at the university. "Our continued recognition as a national leader in community engagement belongs to both the university and the community," said Nancy Rogers, vice president of university engagement. "We have outstanding community partners, especially in Terre Haute, that work with dozens or even hundreds of our students every year. While our students, faculty and staff have a significant impact on the community every year, it's also important to recognize that our community partners have as big of an impact on our students' education." In the overall rankings across all categories, Indiana State ranks 71st nationally, which puts the university behind only Notre Dame (24) and Purdue (45) in the state. The nonprofit publication has ranked four-year colleges on categories of social mobility (recruiting and graduating low-income students), research (producing cutting-edge scholarship and Ph.D.s) and service (encouraging students to give something back to their country) since 2005. Photos: https://photos.smugmug.com/Favorites/Best-of-Student-Activities/i-tnP5fXc/1/2638x1755/03_24_12_interior_design_habitat_humanity-0408-2638x1755.jpg -- Mary Sterling's design students work on a Habitat for Humanity shed on Chase Street in Terre Haute. https://photos.smugmug.com/Events/Events-by-Year/2016/MLK-Day-of-Service-2016/i-FhbhMqt/0/2638x1747/January%2018%2C%202016%20MLK%20Day%20of%20Service7018-2638x1747.jpg -- Indiana State students participate in the Martin Luther King Jr. Day of Service in January. https://photos.smugmug.com/Events/Events-by-Year/2016/MLK-Day-of-Service-2016/i-thftR7H/0/2638x1747/January%2018%2C%202016%20MLK%20Day%20of%20Service7055-2638x1747.jpg -- President Dan Bradley, background, works during the Martin Luther King Jr. Day of Service.